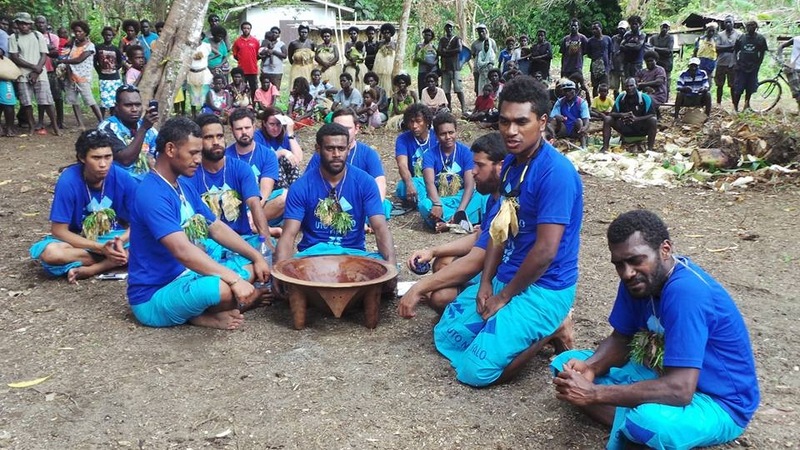 ← Bougainville Chocolate News : NZ chocolate makers arrive to take a tonne of Bougainville cocoa beans to New Zealand in a sailboat. 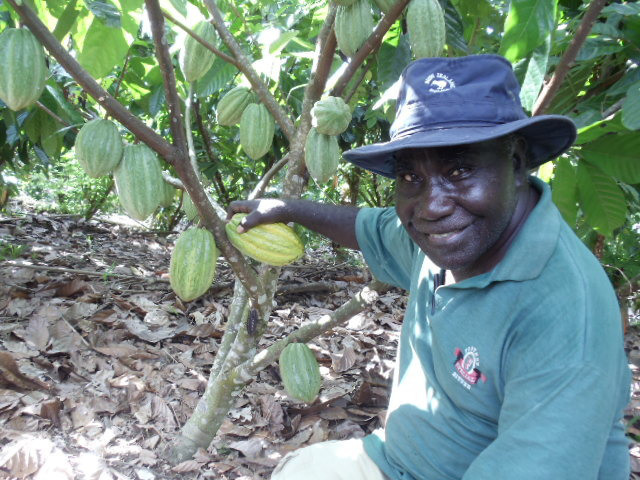 A cocoa farmer in the Tinputz area of North Bougainville, Mr. James Rutana says Bougainville is capable of producing 200,000 tons of cocoa annually. 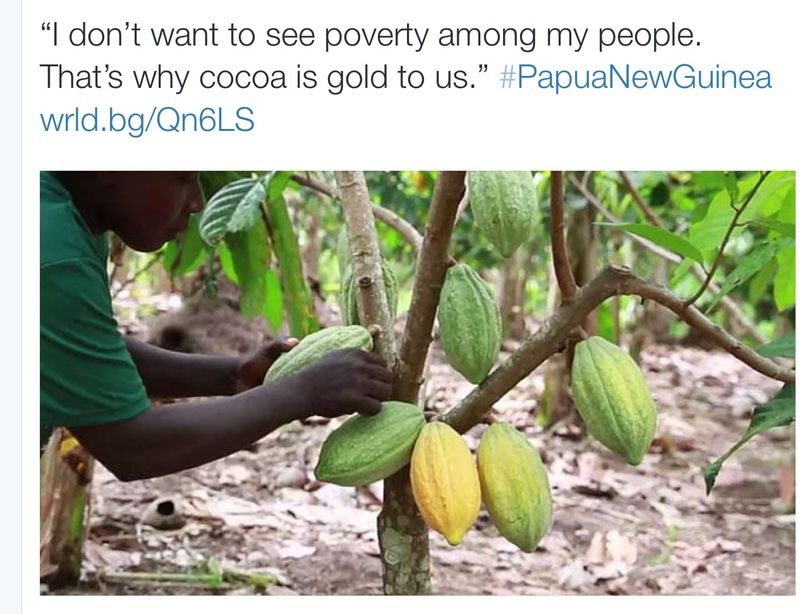 And, this can earn Bougainville K2.8 billion annually in which the ABG government would collect K280 million in taxes. Mr. Rutana said with this kind of money around, there would be no need for mining in Bougainville. A New Zealand Chocolate Factory in Wellington is exporting Mr. Rutana’s cocoa to be made into chocolate bars for consumption. Mr. Rutana is strongly asking Bougainvilleans to turn to cocoa production because he believes this can meaningfully contribute millions of kina to develop and sustain the region’s future. He said a small backyard cocoa farm of one hectare if maintained well can earn the farmer K30, 000.00 annually, money that can be used to pay the children’s school fees and the family’s other needs. Mr. Rutuna further said, Bougainville has everything that one needs to make a living to survive, but all it requires is the commitment to turn the land into its usefulness. Thank you all for ths encouraging news. Dear Friends in AROB, When I see the streams in nd around Arawa, I see economic benefits to you all. Have any of you ever thought of producing MICRO HYDRO POWER, the cheapest way to produce Electricity. Small villages in the mountains and small industries can benefit. We are getting the maximum benefits from Micro Hydro Power here in Sri Lanka.